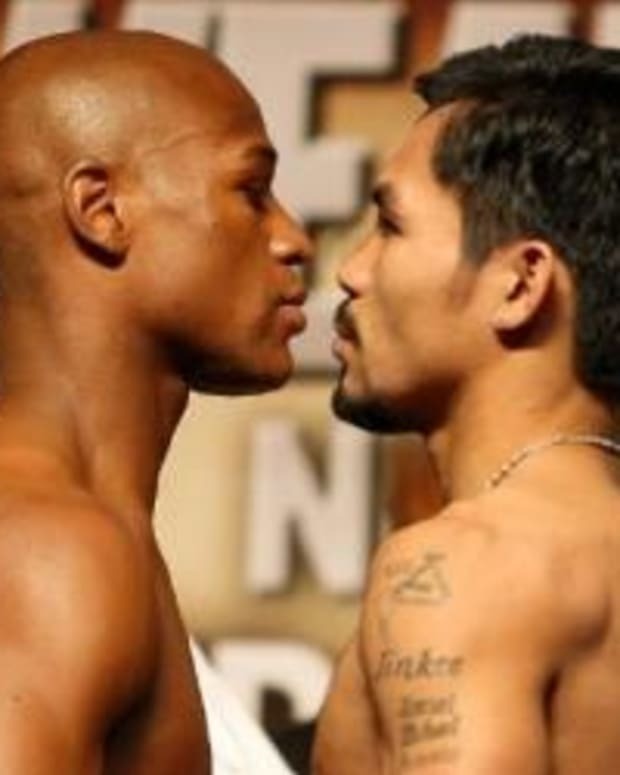 Reasonable people can agree to disagree on why precisely Manny Pacquiao and Floyd Mayweather Jr. have never fought. Because there is very little out there in the way of confirmable facts and most of the information floating around is spin coming from one camp or the other, opinions on tend to be heavy on conjecture and light on specifics. The one thing we can all agree on, however, is that if Pacquiao and Mayweather retire without fighting, it’s something that will look bad for boxing. Mind you, this isn’t just my opinion; the most powerful promoter in the sport recently made that very same point. Well, yeah. Boxing’s inability to pair its two most notable pound-for-pounders has been a black eye on the sport for years now. It didn’t seem to bother Arum all that much when he was busy pitting Pacquiao against other Top Rank fighters and avoiding legitimate contenders signed under the Golden Boy banner, though. So what’s changed? Pacquiao’s status. Whereas Mayweather remains boxing’s king of kings and most bankable star, Pacquiao’s status is up in the air. We’ll have a clearer picture of what it really is this month when he takes on Brandon Rios. 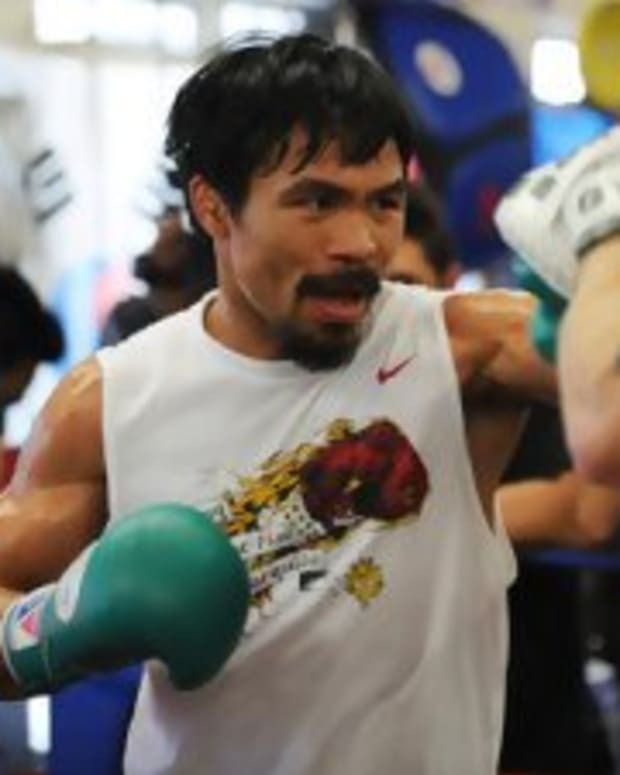 “If Manny demonstrates that he’s back [against Rios] and there’s a public outcry, we should be able to get it done,” Arum told the radio station. Whether folks want to admit it or not, for all of the bickering between Pacquiao and Mayweather, the biggest reason why they haven’t fought yet is Arum. If there is one guy in the sport big enough to squash whatever petty beef exists between two fighters, it’s him. However, up until now, it’s been far more profitable for Arum to match up Pacquiao against other Top Rank guys than to branch out. If Mayweather doesn’t officially announce an opponent by the end of November, and if Pacquiao gets past Rios, things could get very interesting in the next few months.